Who Do You See For Help? A big part of managing my IBS has been about seeking help from others. I have had to pay many of these helpers for their professional advice and services, and others have been free. I do know for sure that I wouldn’t have been able to deal with living with IBS if it wasn’t for the help I received. Involving others also helps me realize that I am not alone, that there are other people out there that I can lean on for help and support when I need it. My number one supporter. He’s always been there for me and is always willing take care of all the chores and day to day things around the house when I’ve been in pain or feeling too tired to do anything. He also listens to me complain and moan about my symptoms and supports me trying out new therapies and treatment. Although I’ll soon be qualified as a nutritionist it really helped to see another practitioner to treat my SIBO and to discuss possible food and diet triggers. I found it really helpful to explain what I was going through to someone else who was able to see the bigger picture and help me pinpoint what might be upsetting my gut. Remedial massage and abdominal massage have been essential in helping ease my tight muscles and get my body back into place. I often needed to avoid exercise and stretching when I wasn’t feeling my best and at times I found my body getting stiff and sore. Sometimes it really helped to get someone else to loosen things up before I could start moving again. My first step in figuring out what my symptoms were involved seeing my doctor and going through a bunch of tests to rule out other possible causes. It can be tough at times finding a doctor that is understanding and willing to spend the time figuring out could be wrong and I have seen a number of different ones in my journey with IBS. Dealing with IBS can be overwhelming at times and I found it helpful to talk it through with a professional. While friends and family can be great too, having someone independent listen to my concerns was so beneficial. I have been lucky enough to meet and get to know other people with IBS, talking to these people and comparing experiences has been so helpful in knowing that I am not alone. 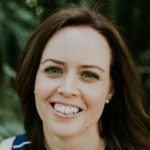 When making changes to what I eat like the low FODMAP diet, or the SIBO Bi-Phasic Diet or needing to interact with people that just “get it”, online communities and Facebook groups were so helpful to get questions answered quickly and to be able to vent or talk about my experiences. I would love to know who has helped you? Give them a shout out and let them know how important they have been in helping you manage IBS!